Over 200 types of bacteria live in your mouth. If you have healthy gums, your saliva removes most of these germs. However, if you have unhealthy gums, you may be at greater risk for heart disease, stroke and diabetes. And if you are a woman, in addition, you are more likely to have a pre-term baby. In periodontal disease, bacteria collects between the teeth and gums. Bacteria which cause periodontal disease gain access to the bloodstream through inflamed, bleeding tissue. 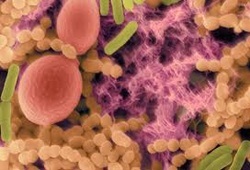 According to a current study, 70% of the fatty deposits in the carotid arteries of stroke sufferers contain bacteria. Forty percent of this bacteria comes from the mouth. 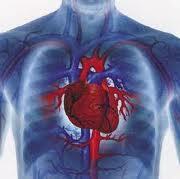 Evidence suggests that people with periodontal disease may be more at risk for heart disease. In addition, they have nearly twice the risk of having a fatal heart attack than people without periodontal disease. It is believed that periodontal disease dissolves the natural barrier that shields the blood vessels from entry of oral bacteria. This continuous presence of oral bacteria in the bloodstream is associated with blood clots and thickened blood vessel walls. Obstructive narrowing of heart, brain, and lung vessels results in increased risk of heart attack, stroke, and lung disease. Pregnant women with gum disease are seven to eight times more likely to give birth prematurely—and—to babies with low-birth weight. It is believed that periodontal disease causes damaged cells to release inflammation-causing substances associated with pre-mature birth. It has been known for years that people with diabetes are more likely to have periodontal disease. But what recent research shows is that periodontal disease may make it more difficult for people with diabetes to control their blood sugar. One study showed a reduction in the need for insulin in 7 of 9 diabetic patients being treated for periodontitis. We believe that healthier gums result in a healthier body. We are here to help. Please ask your dentist or Dr. Ford any questions you have regarding your overall health.